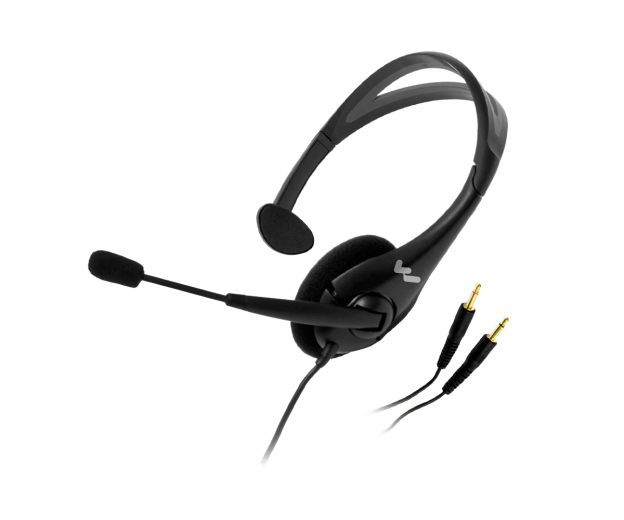 NOISE-CANCELLING 2-PLUG HEADSET MIC Noise-canceling headset microphone, (2) 3.5mm plugs, 39" cord, cardioid condenser, 150-18 kHz. Use with IC-2 interpreter console, PPA T27 transmitter, PFM/PPA T46 transmitter and DLT 300. Replacement windscreen: WND 008. 6-1⁄4" x 6" x 2-1⁄8"; 0.19 lbs.